Old Rose Tattoo is excited to announce that we will be holding a raffle throughout the month of November! 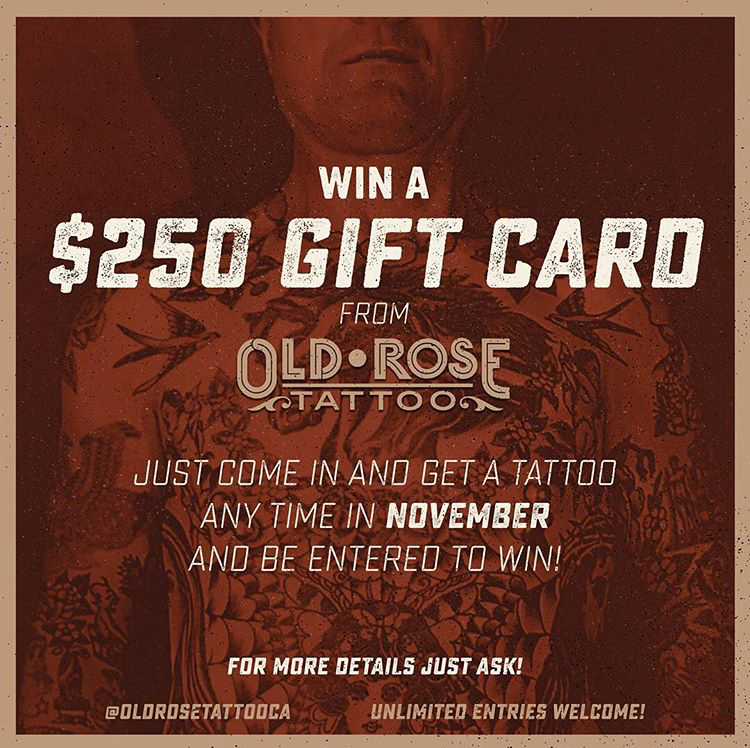 Come get tattooed any day in November, and you’ll be entered to win a $250 gift card! Keep the gift card for yourself, or gift it to someone else for the holidays! Tattoo by Tony Cruz. Contact him at origin2023@gmail.com for all appointment inquiries. There are more exciting things to come as the holidays draw near, so keep checking our Instagram and blog for updated info!